Sharon Creech is an American novelist of children's fiction. 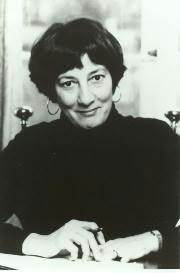 Her novel Walk Two Moons received the 1995 Newbery Medal; The Wanderer was a 2001 Newbery Honor book and Ruby Holler received the 2002 Carnegie Medal. In 2007, Heartbeat was a finalist in the Junior Division (4th to 6th grades) of the Young Reader's Choice Awards, sponsored by the Pacific Northwest Library Association. Ms. Creech and her husband live in upstate New York.